Egyptian Pendants There are 14 products. 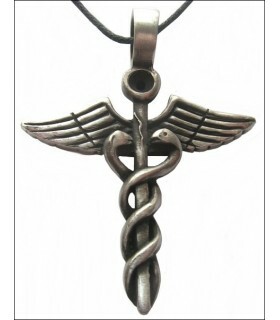 Egyptian pendant caduceus aged pewter finish. Made of pewter. It includes black waxed cord 75 cms. 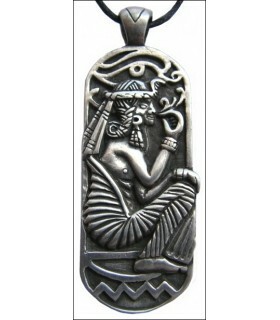 Egyptian pendant sitting in aged pewter finishes. Made of pewter. It includes black waxed cord 75 cms. 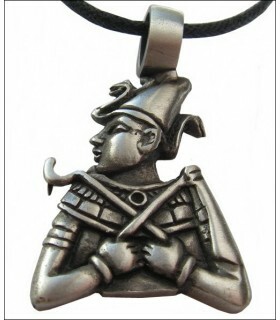 Egyptian pharaoh pendant finished in aged pewter. Made of pewter. It includes black waxed cord 75 cms. Jewelry Winged Egyptian Isis. Made of pewter. It includes black waxed cord 75 cms. 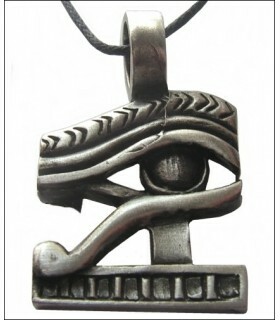 Egyptian Eye of Horus pendant in aged pewter finish. Made of pewter. It includes black waxed cord 75 cms. 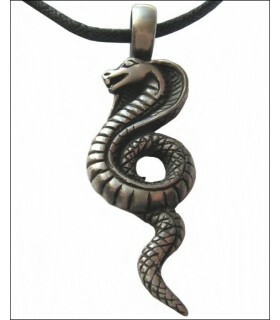 Egyptian Uraeus snake pendant finished in aged pewter. Made of pewter. It includes black waxed cord 75 cms. 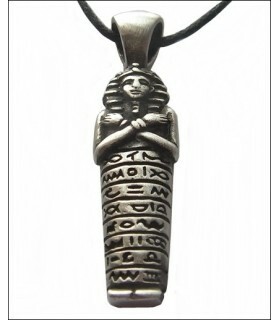 Hanging mummy of Tutankhamun aged pewter finish. Made of pewter. It includes black waxed cord 75 cms. 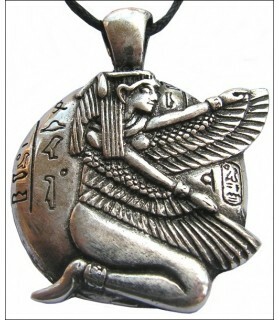 Egyptian Winged Horus pendant. Aged pewter finish. Made of pewter. It includes black waxed cord 75 cms. 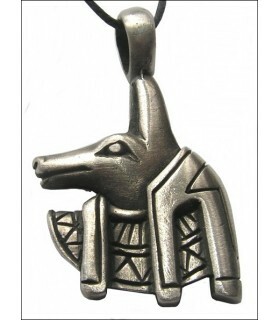 Anubis Egyptian pendant aged pewter finish. Made of pewter. It includes black waxed cord 75 cms. 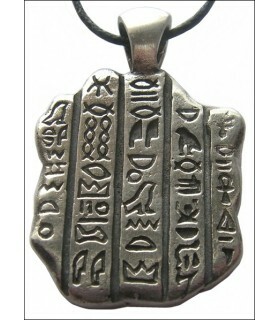 Egyptian stone pendant Rosatta finished in aged pewter. Made of pewter. It includes black waxed cord 75 cms. 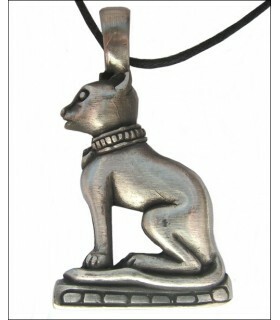 Egyptian Bastet Pendant aged pewter finish. Made of pewter. It includes black waxed cord 75 cms. 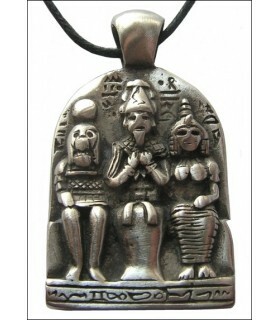 Pendant Egyptian triad aged pewter finish. Made of pewter. It includes black waxed cord 75 cms. 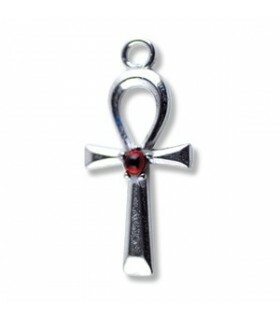 Egyptian Cross pendant made of nickel, decorated with Swarovski crystals. It includes black cord. Measures 3.4 x 1.8 cm. 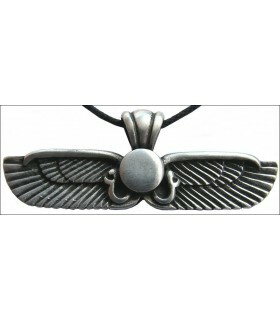 Egyptian Isis Winged pendant made of pewter finished in aged pewter. It includes black waxed cord 75 cms.